When I pictured my daughter Petra eating solid food, I hadn't yet heard of Baby Led Weaning and just assumed I would be doing the feeding. I saw myself happily making airplane sounds as she opened wide, my spoon full of baby cereal or pureed sweet potato coming in for a landing. That's all I'd ever seen and that's how I ate my own first bites. 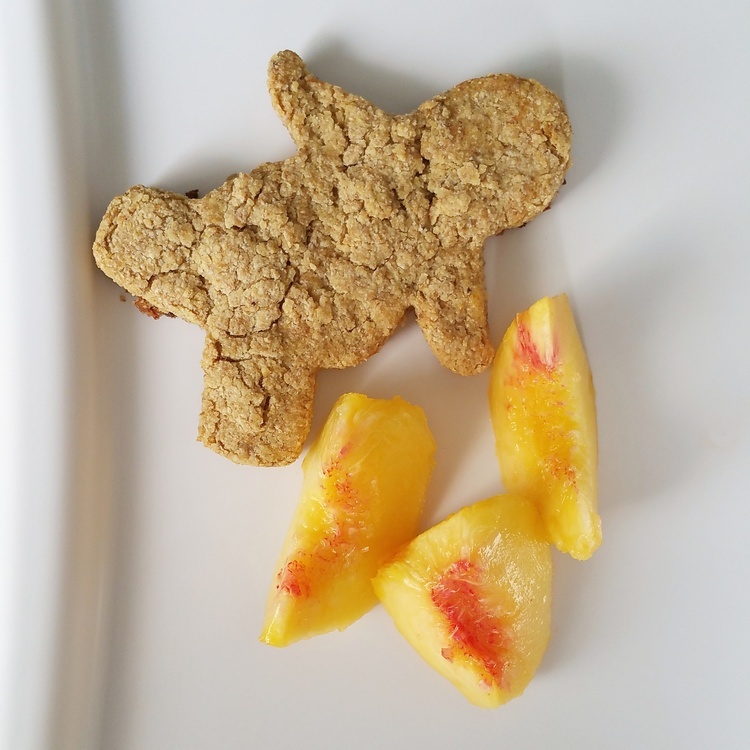 But as the little girl approached six months, a conversation with my doctor about Baby Led Weaning (BLW) had my husband and I deciding to give it a try. The deal is that instead of traditional pablum-style feeding, you give your babe real foods that they eat with their hands (and with cutlery when they get the knack). 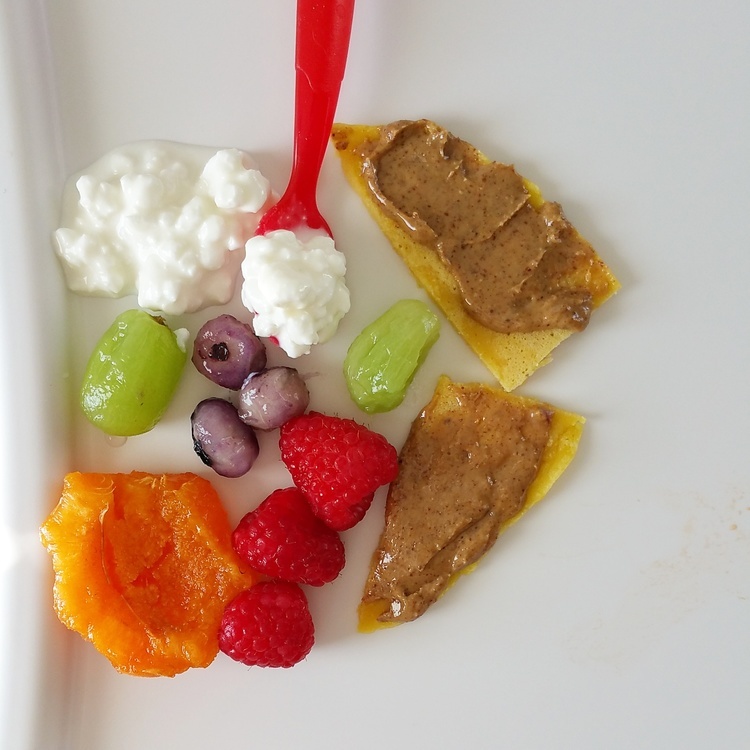 If the idea of BLW is new to you, it might sound crazy to think of a six-month-old eating a chunk of pear or some toast with sunflower butter, but it worked for Petra and my son Paris is only a few days in and LOVING it. 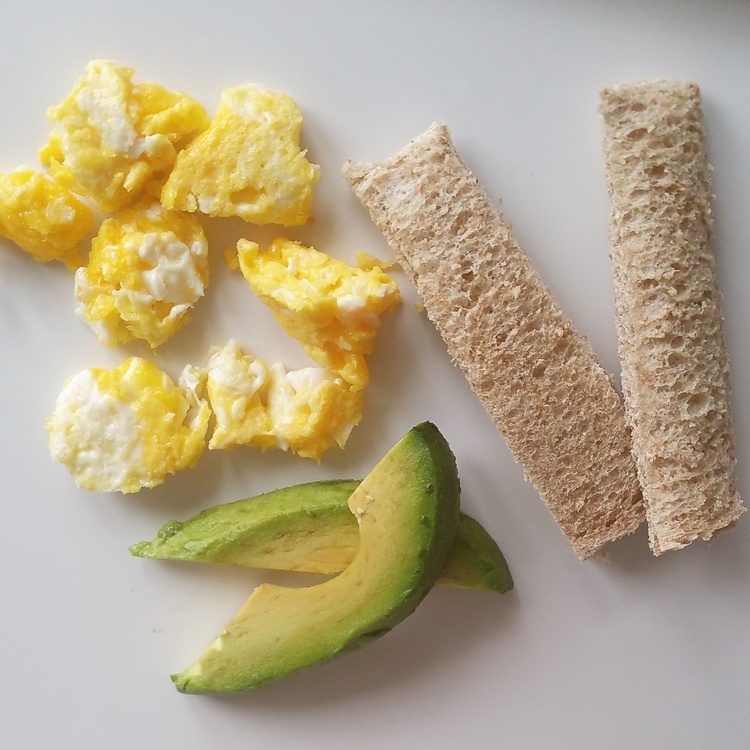 Here are my experiences with the process and a ton of easy meal ideas as your babe begins baby led. You might wonder what drew me to BLW. My doctor's advocacy for the method was due to the experimental and experiential elements of it since the baby investigates everything with their hands and mouth, learning about texture and taste on their own terms. It intrinsically promotes a healthy relationship with food since there's no force or reward: if the baby is hungry or likes a food, they eat it, and if not, they will not. The other biggie is that it promotes the development of fine motor skills. By seven months her little fingers navigated garbanzo beans and blueberries into her mouth pretty handily (and yeah, that's a pun). Before you start out, it's important to know that your baby's gag reflex is much further forward than yours and oh boy, she's gonna use it the first few times she eats. Baby Led teaches chewing before swallowing rather than the traditionally taught opposite, so be aware that a gag here or there is just your baby's way of moving food around her mouth. It took about a week for Petra to really understand how to eat without gagging and I'll admit, I overreacted once or twice. Remember that gagging makes noise and choking does not. It's actually less likely for babies to choke when they're putting food in their mouths themselves (my doctor told me this but I've since verified it like ten times via Google because it seemed unbelievable), but you should always supervise your baby while she eats and know some basic first aid no matter which first-foods method you choose. Good first foods are not too sweet because you're forming your wee one's palette. You also want to be sure that your baby can gum-chew the food, that it's not too hot, and that she's able to hold it. Soft steamed broccoli has that built-in handle, avocado, tofu, and roasted sweet potato can be cut in spears, and egg yolk can be scrambled into quarter-sized bites. Most of my internet research suggested to cut food into spears or fat french fry shapes for ease's sake. 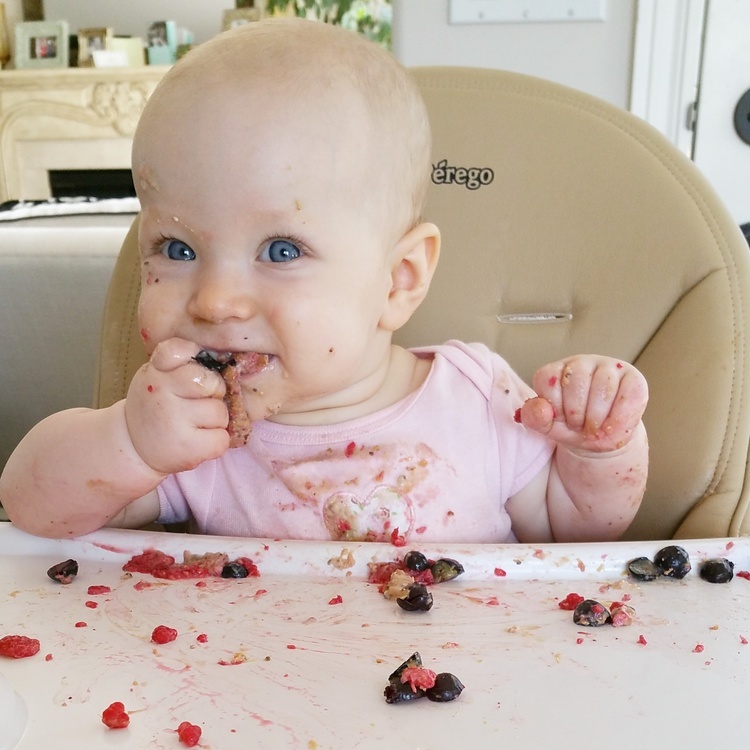 I started with about three foods on Petra's "plate" (high chair tray) for her to try. If you've got a family history of allergies, you can do the technique where you introduce just one food every few days but otherwise, I was advised not to worry about that. Cow's milk, though not recommended as a drink for babies, is alright in yogurt and cheese so long as you don't notice dairy sensitivities. The yolk is the best part of the egg for your kidaroo thanks to the higher iron content. And if your baby doesn't seem into a food the first time, try, try again because research shows that it could take up to 15 encounters with a food to develop a taste for it. Speaking of iron, a common concern for moms is getting enough of it into their baby's diet. Well, with Baby Led Weaning, you'll often find the refrain, "food before one is just for fun". Though breastmilk doesn't have a ton of iron in it, babies absorb it easier than through any other source and ideally, it should remain a major source of nutrients for that first year or more. Having said that, I still made sure iron was a feature nutrient in many of Petra's meals. My household is veggie, so iron is often presented in the form of beans of many sorts, peas, dark greens, soy, and quinoa. Your bod needs vitamin C to absorb iron so broccoli and greens make for a complete source. Now, Petra was very proud of her ability to pick up little beans but little beads of quinoa might have been pushing it, so I often put cooked quinoa in fritters or balls. The one above is just shredded zucchini with all of the water pressed out of it, egg yolk, dill, and quinoa. I fried it in a bit of olive oil and it was a hit. You can put pretty much anything in there: shredded carrot; peas; you name it. 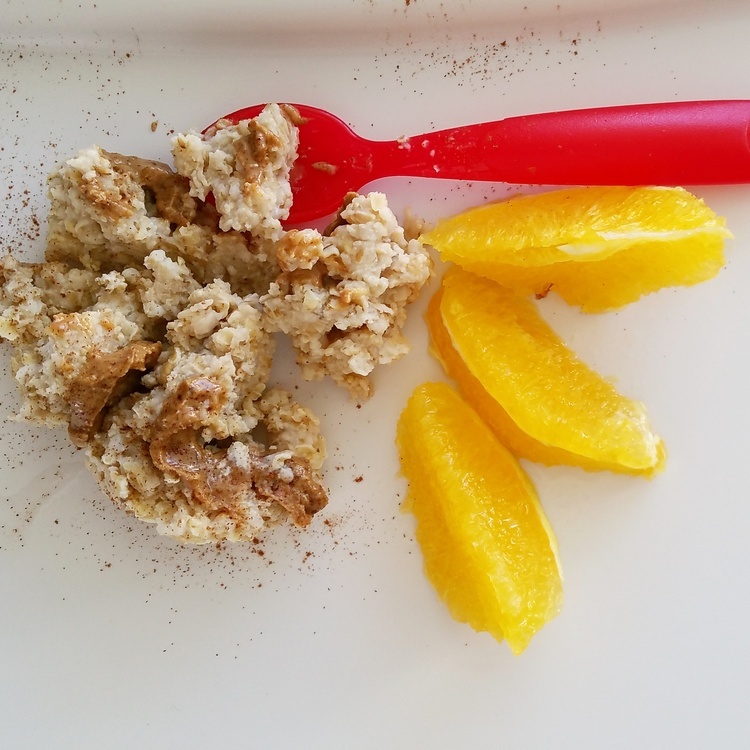 I find you can use egg to bind iron- and vitamin-rich foods together easily, such as in a fritatta. Mashing boiled potatoes coarsely with Greek yogurt and other goodies (here, it's white beans and peas) is a good go-to because the texture was easy for Petra to grab and enjoy. Another discovery was chickpea flower, also called chana flour. Mixed with an equal part water and oil and fried, it becomes a tasty, crepe-style flatbread called socca that you can serve as is, with toppings, or with bits of peas/spinach/other little veggies inside. You can also use chana flour and water as a binder. Above, I used chana flour to bind a quinoa and dill fritter. Peanut butter's fantastic but don't stop there! Sunflower, almond, cashew, and pepita butters are awesome for adhering fruit atop sprouted grain toast. I add nut and seed butters everywhere because of the iron and deliciousness. Cashew, sunflower, almond, peanut... Petra still loves them all to this day, as do I. She also likes cinnamon, which is good for digestion. Just don't use a ton for your babe--if it's too dry and concentrated, anyone will cough. But what's steel cut oatmeal without cinnamon? Once Petra caught onto eating (again, I'd say it took a week), I trusted her with lots of shapes I wouldn't have imagined giving her before-- overdone steamed brussel sprouts, for example. Grapes, on the other hand, should be cut in half until preschool due to them being the exact size and hardness for being a choking hazard. 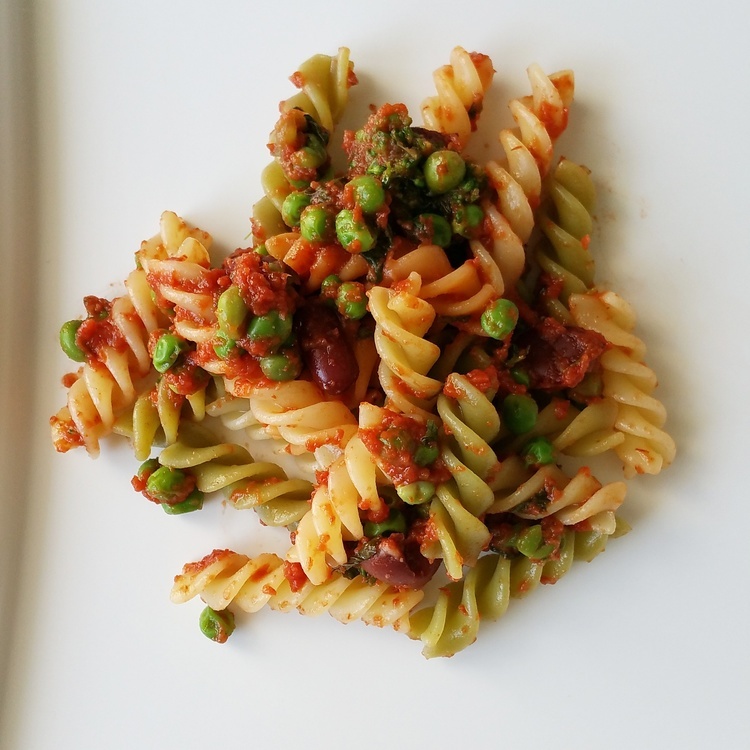 Fusilli is an easy shape to grab and it sort of attracts little veggies like peas and beans. I bought this organic veggie pasta in the natural isle at Superstore and it's awesome nutritionally and taste-wise. There's also a new PC pasta in space or under-the-sea shapes that has added iron which we're very into lately! As Petra got better and better at eating, I increased her portion sizes to match her appetite. She still didn't have any teeth at seven months so I often skinned vegetables and fruit, and everything I cooked was pretty soft. I introduced more fruit when her love for vegetables had been cemented. Almost everything she ate was a mini version of the household meal, which made things easy. Also, she got pretty decent at using a spoon early and I found if I also used one, she mimicked even better. 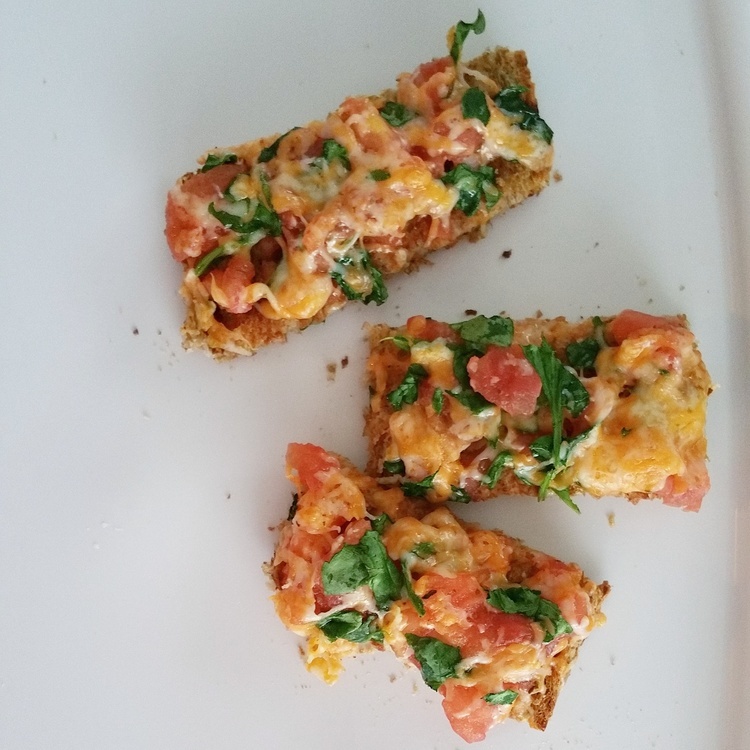 For example, when my husband and I were craving junky pizza, I made Petra something that looked similar but didn't have the crazy high salt content of Dominos. The one other thing to know about BLW is that it's messy. Like, really messy. Strip your baby to the diaper and if she's wearing cloth diapers like P here, make an apron out of a tea towel and just be prepared to clean up a bit afterward. And as much as I loved Petra's high chair, I think I'd pick a simple, moulded plastic one if I had a do-over. If you've got tips or recipes to share about BLW, I'd love to add to my arsenal this time around so don't hesitate to comment. Watching Petra enjoy food was so much fun and the best part is my family and I get to eat with her rather than actively feeding her. But whatever you choose to do (I totally get that this isn't for everyone, just look at that mess), I wish you and your little one happy and healthy family meal times!